A Letter from Kabwata: Oh, how the grace of God amazes me! “And do not get drunk with wine, for that is debauchery, but be filled with the Spirit, addressing one another in psalms and hymns and spiritual songs, singing and making melody to the Lord with all your heart, giving thanks always and for everything to God the Father in the name of our Lord Jesus Christ” (Ephesians 5:18-20). 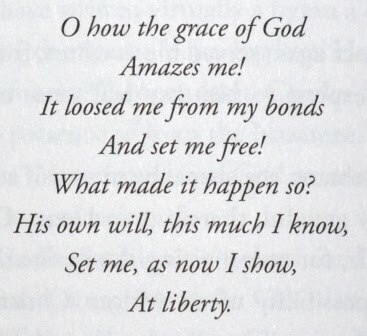 During my undergraduate days, while still a very young Christian, one of the hymns that truly enthralled me was Oh, how the grace of God amazes me. I recall how we used to sing it at Lusaka Baptist Church with so much gusto that I often thought the roof would be blown off the building by our voices. This was especially the case when it was sung as a closing hymn after a gospel sermon by Pastor Joe Simfukwe. Hearing of the historic fall of man, the awful wrath of God, the electing grace of God, the great exchange at Calvary, and the free salvation awaiting every repentant and believing sinner, always melted my heart. 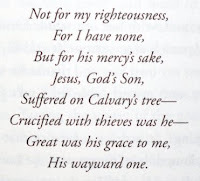 Hence, the words of this hymn were a fitting response to a great gospel service. 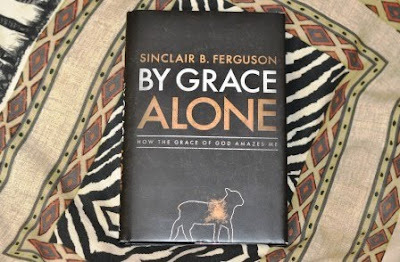 It was, therefore, a pleasant surprise when a friend of mine—Pastor Jeff Parks—recently gave me a book by Sinclair B Ferguson, entitled By Grace Alone, and I found that the book was based on this hymn. 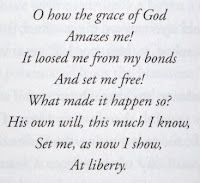 Although I knew that Oh, how the grace of God amazes me was written by an African, I always thought he was a West African. 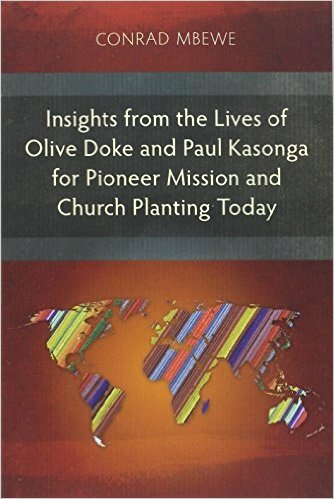 In the preface of By Grace Alone, I learnt that the author, Emmanuel T Sibomana, was a Baptist pastor in Burundi. He was born around 1915 and became a Christian in his late teens or early twenties. 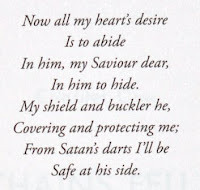 When he first published this hymn in 1946, it was written in his own language. It was later translated into English by a missionary to Rwanda, Rosemary Guillebaud. 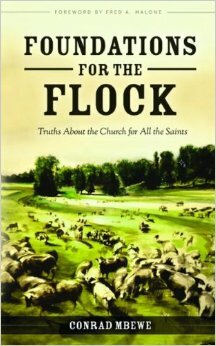 Let me say a few words about the book By Grace Alone and about the hymn itself. Sinclair Ferguson needs no introduction. His books have enriched our lives already. Yet this is not just another book from his pen. It is a book that opens up the unsearchable riches of Christ afresh to us. 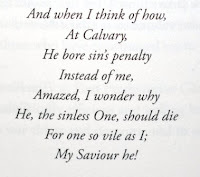 Dr Ferguson uses the stanzas of Pastor Sibomana’s hymn to show us how we—hell-deserving sinners—have been eternally set free from sin and condemnation through the unconditional love of God, which cost him dearly when he gave his Son in exchange for us. I agree with him when he says, “Being amazed by God’s grace is a sign of spiritual vitality. It is a litmus test of how firm and real is our grasp of the Christian gospel and how close is our walk with Jesus Christ. The growing Christian finds that the grace of God astonishes and amazes” (from the preface). Dr Ferguson himself writes from a full heart. 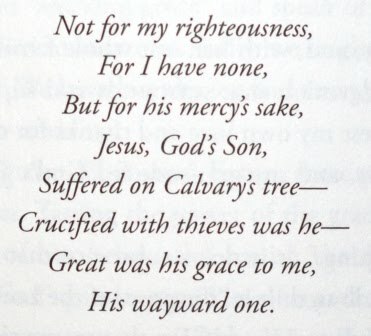 And so, every so often, he breaks the eloquent flow of his thoughts with a quote from various well-known hymns about the cross. I highly commend this book to you. It has refreshed my soul. My only quarrel with this book is its Foreword by the Most Reverend Henry Luke Orombi, the Archbishop of the (Anglican) Church of Uganda. I wish he had said something in it about grace. We Africans really love stories but the Reverend’s autobiographical story illustrates mercy but certainly not grace! He had mercy on beautiful little Ana and adopted her into his family. He was not gracious to her. With all due respect to the Reverend, I think he misses the whole point when he speaks about grace as God stooping low to reach “a longing lost soul”. That may be mercy, but it is certainly not grace. Grace is when, at great sacrifice on your part, you rescue someone who has offended you and deserves your wrath. That is what makes God’s grace shine with the brilliance of the noonday sun. That is what makes it so amazing and gives it such an unrivalled place in Christian hymnody. 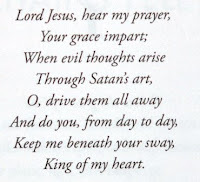 Then, what I find refreshing about Oh, how the grace of God amazes me is that there is progression in the hymn. I must admit that one of my chief quarrels with so many African songs—even Christian songs—is their repetitiveness and lack of movement (I don’t mean bodily movement, which is perhaps the only movement there ever is!). Sometimes the whole song is just one line, saying, “We are going!”—and this is repeated over and over again until we are whipped into a frenzy. There is no explanation as to why we need to get moving, where we are going, how we are getting there, who has paid the price for this journey, etc. It is simply, “We are going!” And, of course, the worship leader wants all of us to dance with excitement because—you guessed right—“We are going!” No wonder no one ever thinks of translating such songs for posterity and for wider circulation! For those of you with a few more minutes to spare, the lyrics of Oh, how the grace of God amazes me are sprinkled across this blog in the white and black inserts. Read them! What more can I say? Firstly, to Dr Ferguson. Thank you for drawing our attention in such an edifying way to the fact that Africa has something to export to the world beyond its black diamonds. And secondly, to those of you reading this blog, buy yourself a copy of By Grace Alone and feast on the truths that moved Pastor Emmanuel Sibomana to pen his hymn. May Africa produce many more such classic hymns for the edification of the church and for the glory of the God of grace! This review throws a lot of light on the lovely hymn "Oh How The Grace of God Amazes Me". Though you lament about the scarcity of such "classic hymns" from Africa, I am aware of many pastors, elders and church members who have archived the hymns they wrote during the times of "courtship" several years ago. May I take this opportunity to encourage us to empty the old suitcases and pull out the dusty but golden papers? 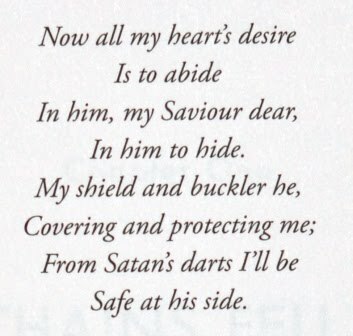 We are ready in the next five years, not for the Millennium Development Goals (MDGs), but for a Reformed Baptist Hymnal, with classic African hymns. I believe there is gold out there. Let us mine it. what a beautiful song. the grace of God becomes even more beautiful when we realize that we were DEAD in our trespasses and sin and we realize that there was never any good in us. 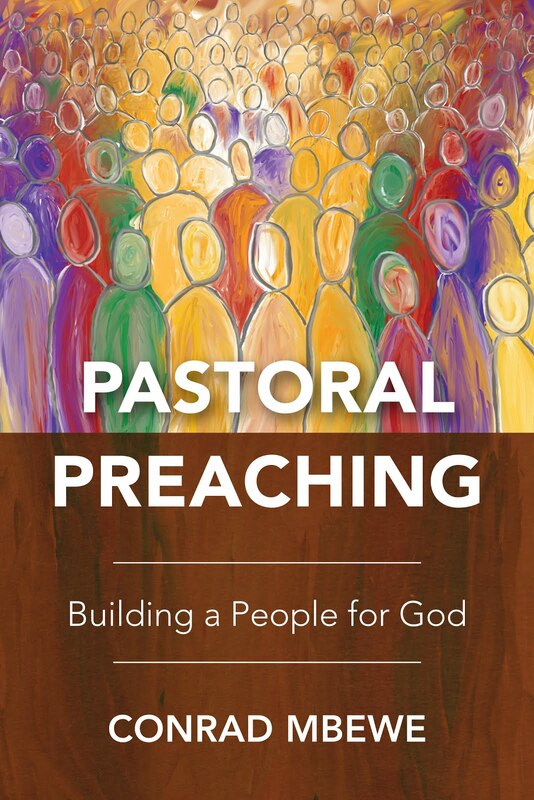 to a sermon by Joel Beeke entitled 'Recipe for a Holy/Happy Church Member' (http://www.sermonaudio.com/sermoninfo.asp?SID=516101259274). He makes a powerful and compelling case, based on Psalm 37, for how the new church member should respond to the fact of God's grace in saving him. He exhorts the newly inducted (by baptism) members of his church to Trust in the Lord..., Delight also in him..., Commit their way to him..., and Rest in the Lord, from verses 3, 4, 5 and 7. 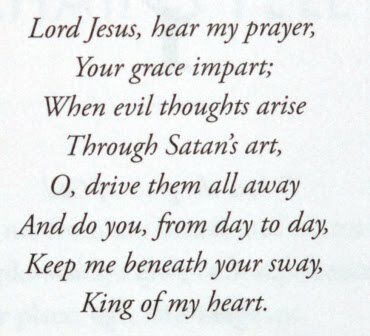 Now, this hymn, reading its words in this light, seems to me to be one that would be especially fitting for a new convert to sing. After all, isn't it just after being saved that we are most grateful for deliverance? 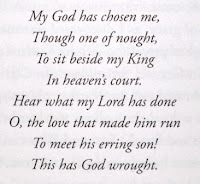 The line 'King of my heart' at the end of the 6th verse says it all. 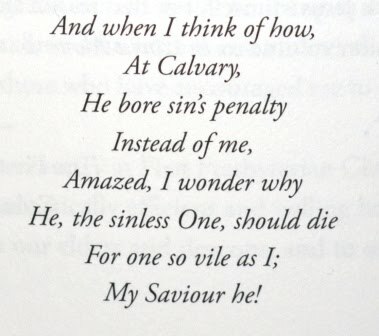 I love, also, the way the last stanza appeals to every part of the believer's being, and calls for renewed passion in his members to sing praises to God. Consider those members as people of God in his Son's church, and you can see that the hymn also speaks to whole congregations, and the need for us, corporately, to rededicate ourselves to the service of God. For what price is too high for us to pay when we are serving him who did not hold back his most precious Possession, sacrificing Him for our sake? By the words in that sermon, the hymn verses interspersed throughout brother Conrad's posting, and the uplifting facts recited in the blog account, God has spoken to my heart today. I need no audible voice in my head. I pray that this reminder will spur us to seek again the fervency we exercised in our practice of the loving service we rendered to God in the youth of our regenerated lives. Pastor Mbewe, these are deep reflections. I appreciate your rare insights. That such a wonderful hymn should emerge from the very heart of Africa, is awe-inspiring and challenging in equal measure. Indeed we should mine for more such gems. Pastor, just the review causes the heart to resonate in thanks and praise to the Lord of grace! I trust that all have learnt something:song writers, music teachers and ordinary singers. Your observations are right and elder Chikondi Phiri's appeal can never be more serious! Thanks for the reminder. We truly are undeserving. Tis grace that we all need.For by grace we have been saved. Thanks! Oh one more thing "we are going"! hahaha! 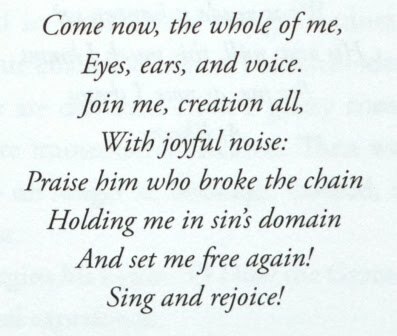 Thanks for the review - I do well remember how this hymn had such a special place in worship at Lusaka Baptist Church and in my heart, as a young christian then, particularly when our Pastor Joe Simfukwe was taking us through the Gospel of John Ch3 where the Lord has this dialogue with Nicodemus on being born again. That was way back in 1981-82...O how the Grace of God amazes me - still! I am trully blessed! Thank you for sharing this with me. I have just watched a 30 minute youtube video of Sinclair Ferguson explaining why he wanted to write this book. When I searched online for the hymn, I only found one youtube video, a traditional pipe organ choir piece. I would like to hear it as you described singing it: "blowing the roof off!" Do you happen to know of any such version? Thank you. Sir, I have just discovered your excellent website and look forward to browsing it more carefully. I wonder if you or anyone else can help me with any more information about E.T. Sibomana? 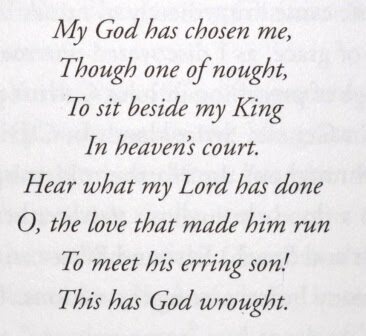 I have a short letter from Meg Guillebaud, niece of Rosemary, but would like to discover any more information relating to the writing of 'Oh how the Grace of God'.